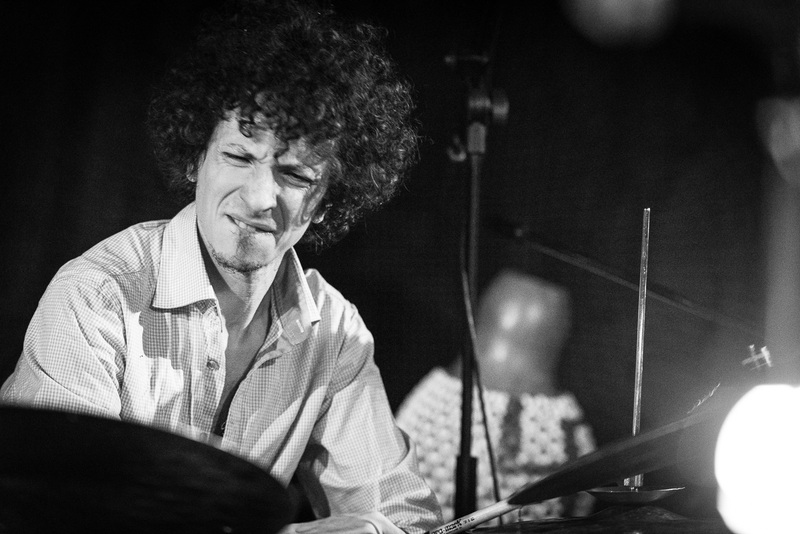 Drummer Diego Pinera grew up in Montevideo (Uruguay) and has been living in Germany for several years. He studied drumming at the Berklee College of Music (USA), at the University of Music in Havana (Cuba) and at the Hochschule für Musik und Theater in Leipzig. He received lessons from Danilo Pérez, Bob Moses, José Luis Quintana ‘Changuito’, and Kenwood Denard. As sideman he played with musicians such as Donny McCaslin, Jerry Bergonzi, Danilo Pérez, Dan Tepfer, Miguel Zenon, Wilson de Oliveira, Tony Lakatos, Nene Vazquez, Joe Gallardo, Katja Riemann, Nils Wogram and Paul Brody. With his Trio he achieved in his compositions a new, unusual approach to latin jazz. Sometimes this approaches pop and modern jazz, sometimes he concentrates on the original, multilayered rhythms of this improvisational music. Pinera’s playing is nonetheless always grounded in the Latin American musical tradition.